Now that Christmas is officially behind us, I feel it is more than appropriate to start talking spring. A trend I’ve been seeing across youthful designers like Rebecca Minkoff, Clover Canyon and Kelly Wearstler is that of the printed jacket. 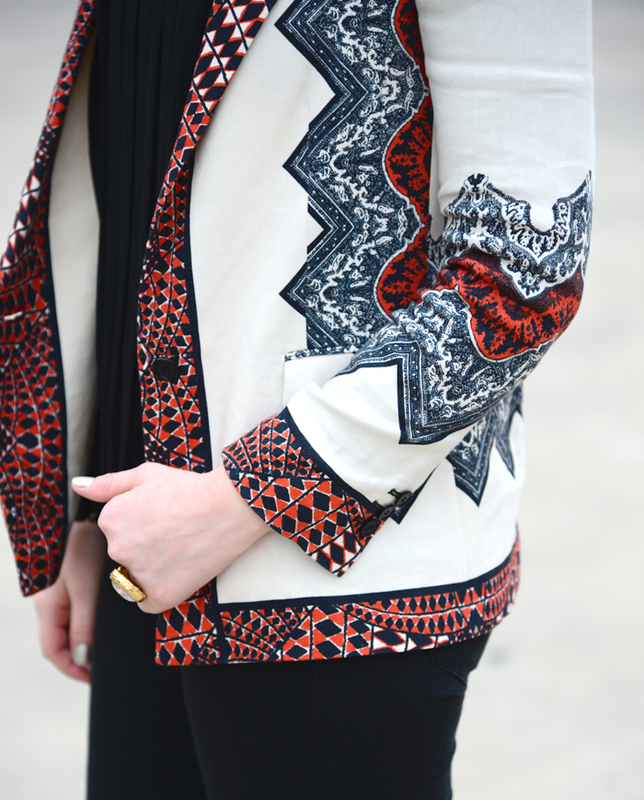 Lightweight and perfect for transitioning the seasons, printed jackets are the new black. My current favorite is the sleek linen Etro blazer. The print is sharp and the colors contrast so well against one another. I also love this Haim jacket by Rebecca Minkoff and this Aquarium one by Clover Canyon. You look amazing! Love this on you! And I agree prints are all the rage.